29. Awaji Yumebutai (淡路夢舞台) – A work of world-renowned architect Tadao Ando, this conference center/memorial is located on a hill and overlooks Osaka Bay. 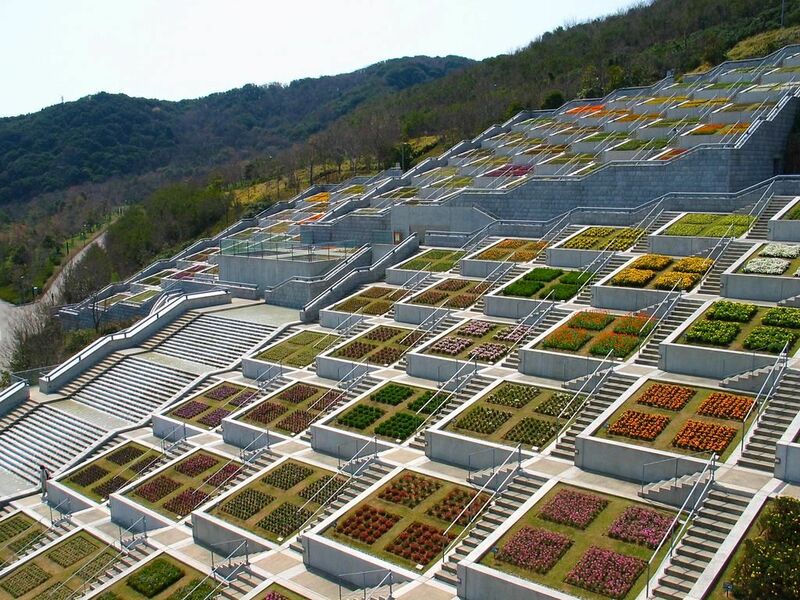 A sight to behold is the 100 terraced garden squares (hyakudanen). 30. Shiono Cape (潮岬 – shionomisaki) – A promontory found in the southernmost point of the island of Honshu facing the Pacific Ocean. The Shionomisaki Lighthouse found on the cape is of historical value and ranks among the top lighthouses in Japan. 31. Oyunohara (大斎原) – At 34m high and 42m wide, this is the largest Torii in the whole of Japan. It is found in former grounds of the Kumano Hongo Taisha shrines which was destroyed in a flood in the Meiji era. 32. Engetsu Island (円月島 – engetsutou) – This island is formally called Takashima but is more popularly known as ‘Engetsuto’ because of its shape. It is a symbol of Shirahama and is best known as a place for viewing beautiful sunsets. 33. 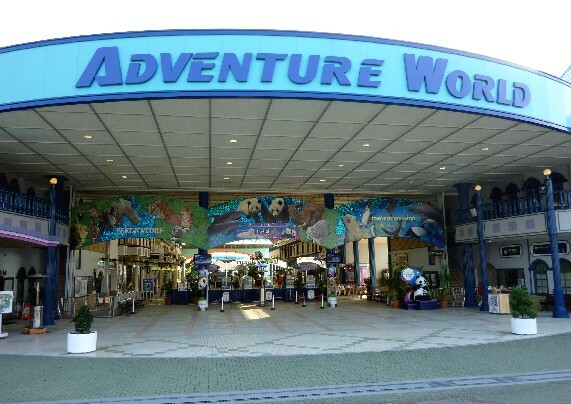 Adventure World (アドベンチャーワールド) – A family theme park with the concept of contact with nature and animals. Among the attractions are Pandaland, Safari World, Marine World and an amusement park ride area called Play Zone. 34. Mizuki Shigeru Road (水木しげるロード) – The hometown of famed manga artist Mizuki Shigeru features an 800 m stretch of road adorned with 150 characters and other decorations from his works.